Did you know that periodontal disease affects more than 50% of Americans, according to the Centers for Disease Control and Prevention? 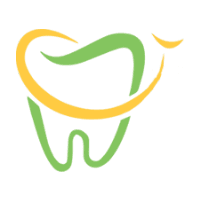 In the Financial District, Lower Manhattan, New York, the hard-working dentists at PDADental provide personalized and thorough teeth cleanings and are well-acquainted with the latest advances in dental technology. Ward off gum disease with quality dental care, checkups, and cleanings. Call PDADental or schedule your checkup online today. What is a Dental Teeth Cleaning? A professional dental teeth cleaning is an important integral part of your preventive dental care and oral hygiene. It’s performed by a trained dentist or dental hygienist in the office. The PDA dentists recommend professional teeth cleanings for adults and children every six months. What Can I Expect During My Professional Teeth Cleaning? Your PDADental professional examines your teeth, gums, and mouth with special dental tools and removes tartar and decayed tissue from your teeth. Your dental professional brushes your teeth with a high-powered electric brush and a special dental toothpaste, before flossing and rinsing your mouth with liquid fluoride. In some cases, you might be due for X-rays or additional testing to examine your oral health. Your initial dental exam typically takes about an hour. You can be sedated if necessary, but most people find teeth cleaning to be a tolerable and worthwhile experience. How Can I Keep My Teeth Clean and Healthy at Home? You can take many ways to care for your teeth and improve your oral hygiene at home. The PDADental team recommends brushing twice daily using a soft brush and a fluoride toothpaste. This can help to keep away harmful bacteria, sugar, and plaque buildup. Flossing once daily and following up with an antibacterial mouthwash to kill any remaining germs is also helpful. It’s important you don’t overlook your food choices that play a big role in your oral health. Try to stay hydrated, drink plenty of water, and eat a balanced nutrient-dense diet, opting for healthy, natural, whole foods over sugary foods. You should also avoid teeth-grinding or clenching. Dental cleanings yield diagnostic, preventive, and cosmetic benefits by removing plaque and fighting oral infections. Some dental cleanings can reduce the appearance of stains. If you’re due for a cleaning or checkup, click to book online or call today.